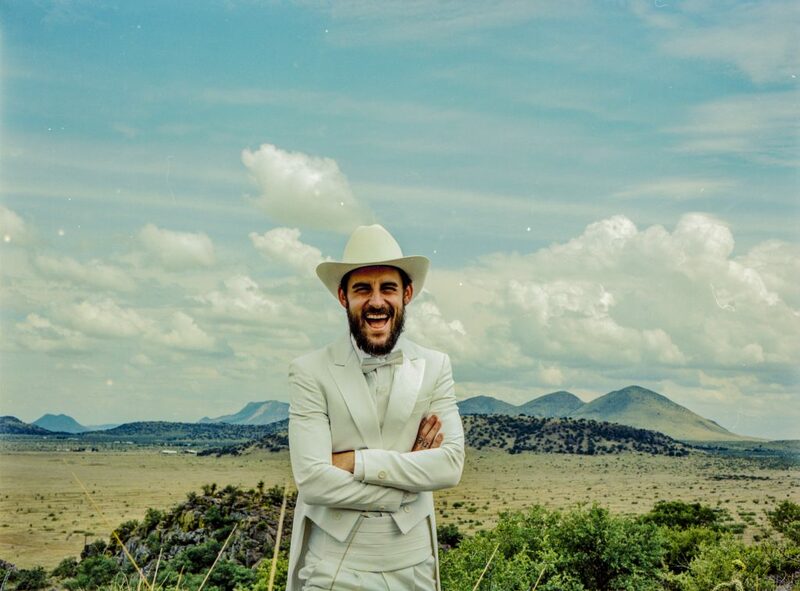 With his critically-lauded new album, Texas Piano Man, Houston’s Robert Ellis has shifted from the strings to the ivories, yielding a most elegantly-crafted, unflinchingly honest and humor-filled love letter to the artistry of piano greats like Leon Russell, Randy Newman and Liberace. And, he may just be the best Texas cultural ambassador to come along since King Willie. Currently on the East Coast leg of his tour, he took a few moments to join KXT for a lil’ Q&A in advance of his slot at the 10th annual Homegrown Festival at Main Street Garden in Dallas. ROBERT ELLIS: I went down a worm hole watching Liberace videos about a year ago. My lady sent me one, and I just couldn’t believe what a great entertainer he was. In regards to the video, thank you. I’m still quite a novice dancer. The real credit should go to Allison Walsh, who was my co-star and choreographer. KXT: Making the shift from guitar to piano troubadour (and newly-minted novice dancer) hasn’t been the only huge change for you in the past couple of years. Congratulations to you and your lady on the arrival of your baby! Has fatherhood mellowed you out somewhat? ROBERT ELLIS: Eh…mellowed maybe isn’t the right word. I’ve got quite a lot of energy. I guess it’s just given me somewhere positive to focus all of it. KXT: Are you tired of the Topo Chico questions yet? KXT: Cool. How does it feel to be the ambassador for the unofficial state beverage of Texas? ROBERT ELLIS: It’s really quite an honor. I drink Topo Chico obsessively. Can’t get enough of it. I’m happy to get to share that love, and a little bit of Texas with people who maybe didn’t know before. KXT: Do you like either of the lime or grapefruit flavors, or just straight up plain? ROBERT ELLIS: I like plain with a slice of lime, hence the song. But I get down on grapefruit every now and again. KXT: So when you’re on the road, far from home, and you find a place with Topo Chico, is it a cause for celebration, or has the rest of the country already taken note? ROBERT ELLIS: I currently have 4 cases under the seats in the van. I’m not gonna wait around to find it. I need the elixir. KXT: We feel ya! OK, one last question, and we’ll let you get back on the road. Do you now have several white tuxedos for your tour, or are you still down to one? ROBERT ELLIS: Still one tux! Gotta be careful with it. Don’t miss Robert Ellis at Homegrown on Saturday, April 13!